Best Patch Management & Monitoring Software & Tools for Updates 2019!! Patch Management Software not only helps keep you systems up-to-date but also saves your Company from Potential Threats, Ransomware, Viruses and Exploits that could cripple your infrastructure. As of late, Ransomware has taken down Government, Educational and even Health Care systems to a halt – Locking Files and systems down due to either User Error or Un-Patched systems. Hackers have become highly sophisticated in their attacks, so it has become absolutely necessary to identify vulnerabilities in Operating System (Windows, Linux/Unix and even Mac OsX) and software, and fix them right away. As software and operating system companies identify vulnerabilities, they create a patch and broadcast it to all the users. Software and hardware companies (as of lately) send out Patches for new features and capabilities that are crucial to keeping vulnerable systems up-to-update in between major updates. All this means, the IT administrators are forever patching one update or another. As a result, IT administrators are forced to spend a considerable time patching different software, and in turn, this brings down their productivity. Sometimes, it can even lead to mistakes and negligence, that eventually have serious consequences for the company. To avoid all these issues, it’s best to use patch management and monitoring tools that will assist you in the process of keeping systems up-to-date. Below we Review several tools and software that will help you in the process of finding a software tool! These Patch Manager Software & Tools could greatly ease the work of an IT administrator, provided they are scalable, comprehensive, easy-to-use and cover many vendors. Let’s look at some of the Top Software for managing Updates and Software/Hardware Patches available today. 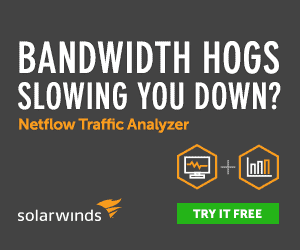 SolarWinds Patch Manager is one of the Most Comprehensive tool that meets the needs of all companies, regardless of their size and distribution. Below are some of the salient features of this tool. Integrates well with WSUS and Microsoft update agent. Automatically updates Windows patches on custom schedules. Gives the option to create different patching schedules for different products. Proactively identifies the servers and workstations that need patches. Supports a wide range of vendors and works well across thousands of servers and workstations, ranging from physical, virtual, online and offline systems. Adobe, Google, Microsoft, Opera Browser, Firefox, QuickTime, Skype, RealPlayer, WinRAR and WinZIP are some of the popular products supported by this tool. Simplifies many of the processes/steps involved in patching. Allows to easily build customs scripts to deploy the necessary actions required before or after a patch is installed. Gives you the choice to decide which patches have to be installed based on release date, criticality level, etc. Enables you to create custom packages to simplify the patching process. 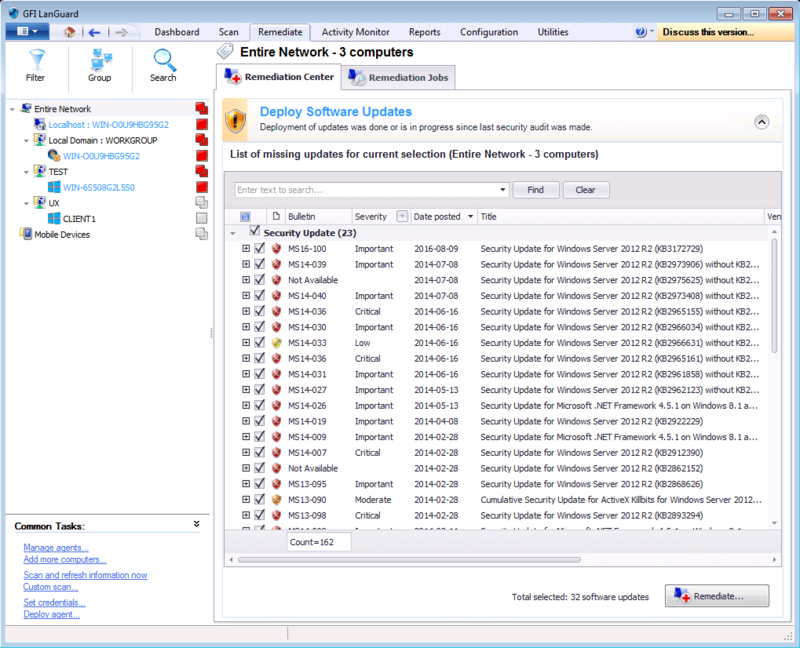 ManageEngine’s Desktop Central handles every aspect of Windows’ and third-party applications’ patch management. In fact, it handles this process from end to end, to greatly ease the pressure on IT administrators. Some of its features include. Comes with an online vulnerability database that contains all available Windows updates. This can be a good point of reference for IT administrators. Scans all the systems in the network for missing Windows patches, and reports the vulnerability levels after the scan. Downloads the patches and creates the list of tasks needed for its deployment. Supports the following Windows operating systems – Windows XP Professional, Windows Server 2003, Windows Vista, Windows Server 2008, Windows 7, Windows Server 2008 R2, Windows 8, Windows Server 2012, Windows 8.1, Windows Server 2012 R2, Windows 10, Windows 10 Enterprise 2015 LTSB and Windows Server 2016. Contact the sales team at https://www.manageengine.com/products/desktop-central/get-quote.html to get a quote. Ivanti Patch for Windows comes from a company called Ivanti that specializes in making software for security, IT asset management, IT service management and supply chain. This tools helps you to tackle different OS and app-level threats of all Windows devices, including workstations and data centers. Here are some things it can do for you. It is a single automated solution that handles physical and virtual servers and workstations. It patches everything, starting from Windows operating systems to Hypervisors. Provides support for third-party apps as well. It automates the entire process, starting from discovery, assessment, patching and delivery of updates. As a result, IT administrators can use their time and effort towards more productive tasks. Comes with an intuitive interface that displays the results in a visually-appealing manner. You can get any information you want with just a few clicks. Advanced reporting tool comes with many built-in features to support different types of reports. Integrates patch management with other functions to create a resilient infrastructure. 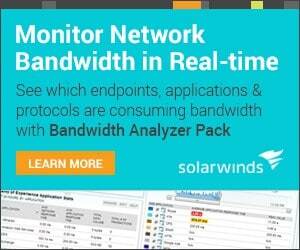 Gives granular and accurate control over the entire patching process. Its advanced API stack integrates with third-party security solutions, reporting tools and configuration and management tools. Schedules tasks at such a time that it won’t affect users in a big way. Contact the sales team at https://go.ivanti.com/Web-Quote.html for a quote. GFI Languard is a patch management tool for operating systems such as Windows, Mac OS X, Linux and the applications that run on them. Let’s look at what this tool offers. Scans your network automatically or on demand. Comes with all the functionality and tools needed to install and manage security updates. Enables administrators to detect, download and deploy missing patches for different software. Gives the choice to patch a version and upgrade to the next version. Automates patching for all browsers running on Windows operating system. Supports Exchange servers across all environments, including virtual machines. Auto downloads missing patches and patch roll-backs, so the configured environment is stable and is protected from security vulnerabilities. Allows multi-tasking, as some users can access the reports while the IT administrators can be working on a different part of the network. Complies with vulnerability assessment standards such as OVAL and SANS Top 20. Integrates well with more than 4,000 critical applications across different areas, ranging from anti-virus to device access control. Supports vulnerability scanning on smartphones and tablets that run on Windows, Android and iOS. Contact an authorized GFI partner at https://www.gfi.com/pages/partners.asp to get a quote. 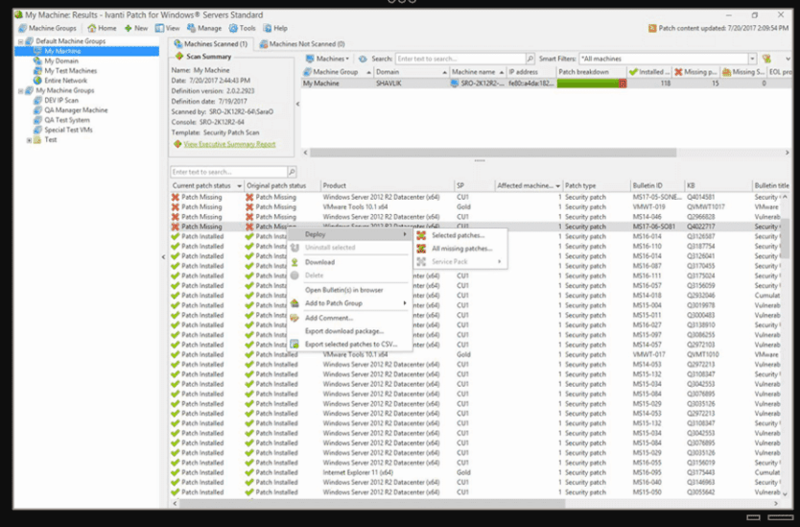 Comodo ONE Windows Patch management is a scalable and effective patch management tool that takes a lot of burden off the shoulders of IT administrators. Below are some of its features. 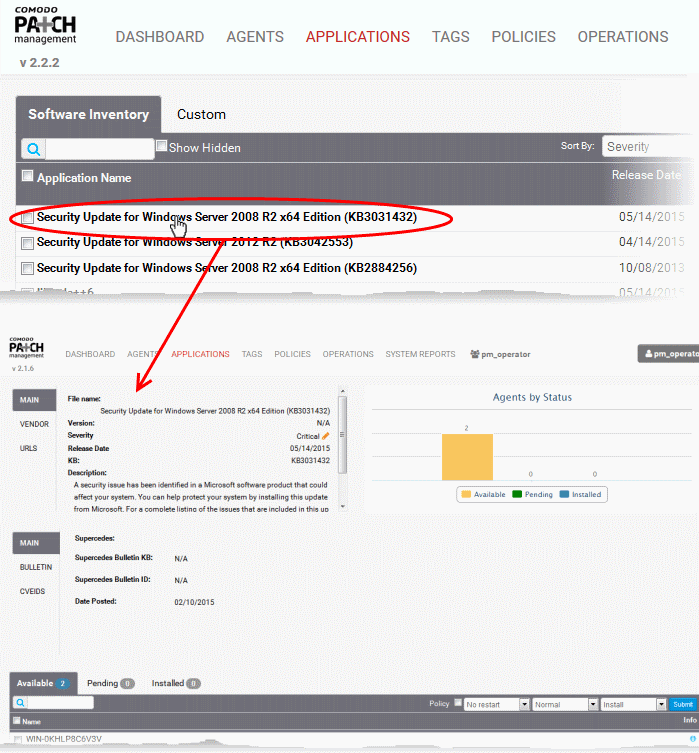 Gives administrators granular control over the deployment of updates to operating systems and third-party applications. Works with WSUS to automatically update Windows patches. Automatically identifies the servers and workstations that need patches. Gives detailed information about the patches that need to be installed. This is an open-source software, so it is available at no cost. In short, patch management tools automate much of the patch installation and maintenance, so IT administrators can be more productive and effective and not have to worry about getting updates in a timely manner. The above tools are some of the best in the industry and offer comprehensive patch management solutions for your organization. 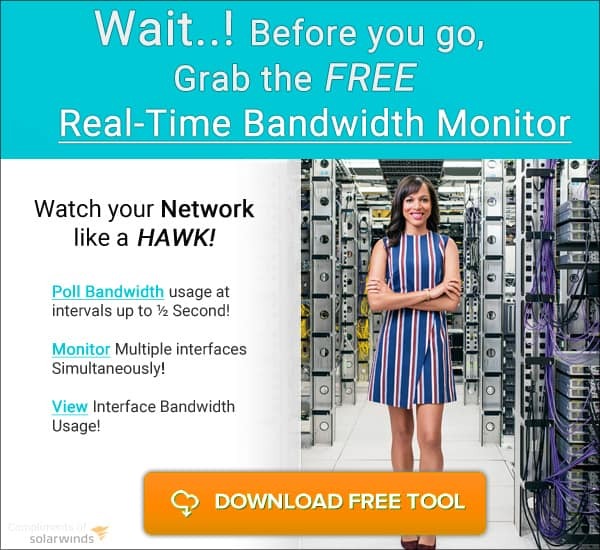 Grab one and get it installed and tested it out in your network!